Dr. Jeremy Tanner DDS utilizes intra-oral camera technology that helps enhance your understanding of your diagnosis. An intra-oral camera is a very small camera. In some cases, an intra-oral camera is just a few millimeters long. An intra-oral camera allows our practice to view clear, precise images of your mouth, teeth, and gums, in order for us to accurately make a diagnosis. With clear, defined, enlarged images, you see details that may be missed by standard mirror examinations. This can mean faster diagnosis with less chair-time for you! Intra-oral cameras also enable our practice to save your images in our office computer to provide a permanent record of treatments. These treatments can be printed for you, other specialists, and your lab or insurance companies!. Mounted on the end of a pen-shaped instrument, the tiny intra-oral camera can be used to provide detailed imaging of the teeth and gums. Digital images are captured instantly and sent to a TV screen mounted above each treatment chair, where patient and dentist can view them together. Intra-oral cameras deliver high-quality images that can help patients learn about problem areas and better understand their treatment, which increases their comfort before and during a procedure. 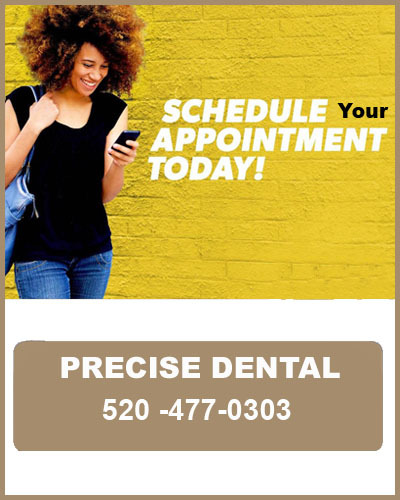 Intra-oral cameras are quickly becoming the gold standard in cosmetic dentistry offices and are integral to the treatments we offer to our patients from Tucson and throughout the Southern Arizona area.